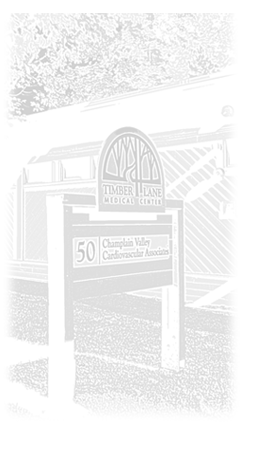 Champlain Valley Cardiovascular Associates, (CVCA) is dedicated to providing the most advanced, highest quality cardiac care for the people in Northern Vermont in a caring and compassionate environment. We are committed to working with our patients, patient's families and fellow health care professionals to provide these services in a timely fashion and in a patient centered atmosphere. We offer state-of-the-art medical care with a commitment to honoring and caring for every person that we have the privilege to serve.